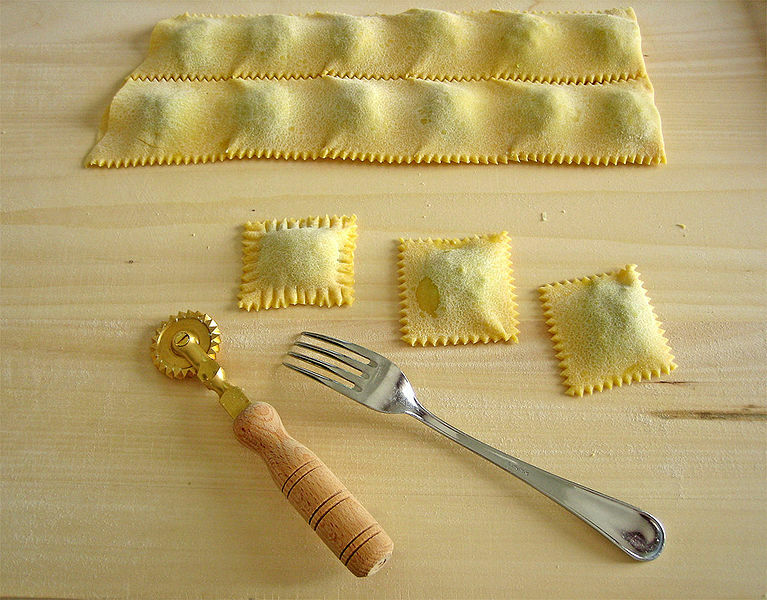 The first mentions of Ravioli was in the 14th century Venus. 1602 The Dutch East India Company was established and the Netherlands granted it a monopoly on trade with Asia. 1727 RIP Sir Isaac Newton It is said that an apple fell on his head inspired his theory of universal gravitation. The apple is thought to have been the green skinned ‘Flower of Kent’ variety. 1932 RIP Ilya Ivanovich Ivanov,a Soviet biologist. Others had previously shown it was possible to artificially inseminate domestic animals, Ivanov developed the practical procedures in 1901. 1941 ‘All That Meat And No Potatoes’ was recorded by jazz musician Fats Waller. I remember my first time in Italian restaurant in Kiev. Ravioli sounded so romantic! I ordered it and…. got a bit disappointed. They served my something resembling much our Ukrainian Pelmeni. I expected something more exotic, to tell you the truth. However, I still love them. Another fun set of facts…. and Ravioli making- fun times. Today is my birthday! Perhaps that is why I love Ravioli so much! Just love making, serving and of course eating these delights. I love ravioli! There is this intention in my mind to try them with turkey stuffing and a cranberry sauce..